This is the Tetris House: a modular housing design that loves to show off its good side. The entire Tetris House structure is constructed of concrete and steel with walls of glass windows. 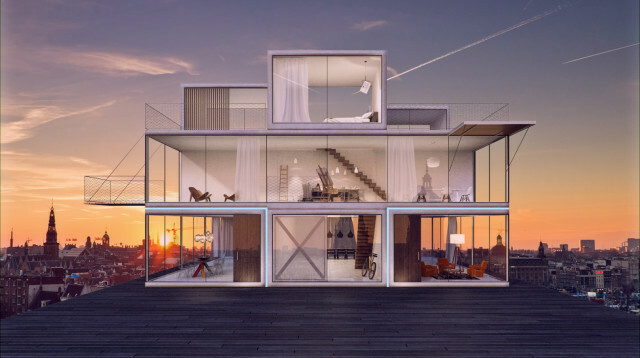 As you may have guessed, the puzzle video game Tetris is the inspiration for this modern modular housing design. “The entire Tetris House structure consists of stiff ‘building blocks,’” said Janjaap Ruijssenaars, founder of the house’s designer Universe Architecture. The Tetris House design was recently approved for mass production on an international scale—meaning that it could be showing up in a neighborhood near you. To learn more about the Tetris House system, check out the website.